On Wednesday and Thursday we were at the Suffolk Show speaking to people about our charity and running an activity called the ‘Step Up Challenge’! 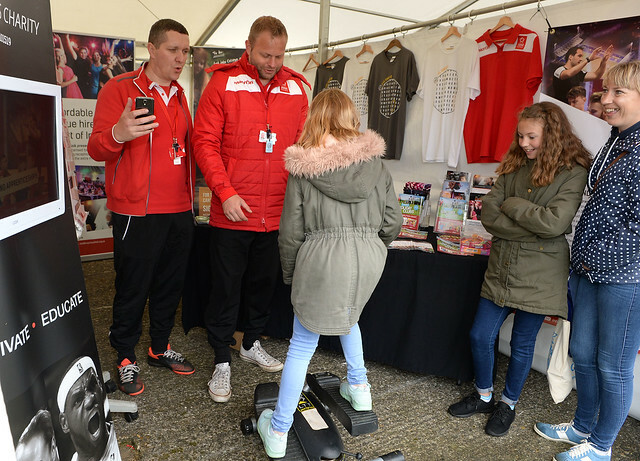 Lots of adults and children took part to see how many steps they could do on our stepper in thirty seconds with an overwhelming and very energetic response! Well done to all those who took part including Matt from the East Anglian Daily Times and Neil who topped to adults leaderboard on each of the days and Corey and Tim who raced to the top of the young persons league! We had a lovely time on Stand 825 talking to all of you about what we do as a charity and the activities that we run. Thanks if you stopped by to speak to us and we hope to see you at our Inspire Suffolk clubs or activities soon! Here are some of our highlights in this gallery….